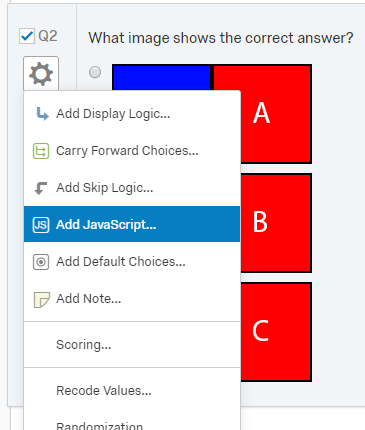 Next, we need to create a question item where the images will be displayed. 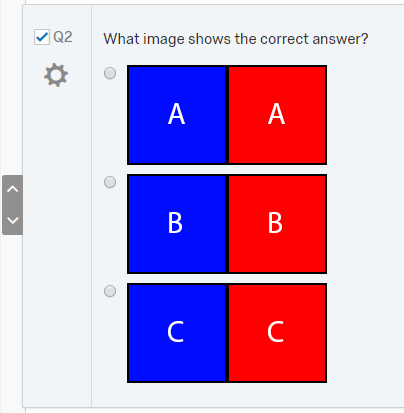 Here I just created a simple Multiple Choice question where the images act as the response options (although this technique can be used anywhere you can display an image). 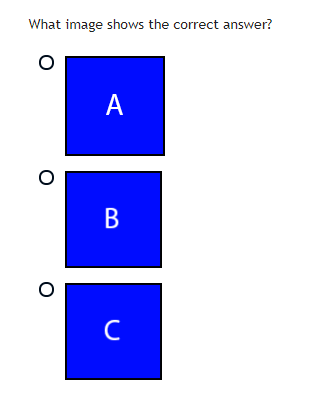 The goal is to have only the blue images displayed if the respondent has been assigned to Group 1, and only the red images displayed for Group 2. We will use these classes later to hide the image we don’t want. For example, if the respondent has been assigned to Group 1, we will hide all images that belong to the class g2.